Welcome to Field Hockey 2018! 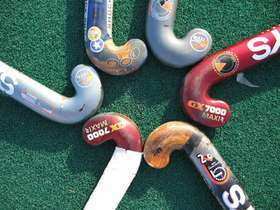 The Maryland Youth Field Hockey League, or MYFHL, is comprised of teams from the Baltimore County, Carroll County, Frederick County, Harford County and Howard County areas of Maryland. MYFHL is pleased to announce that BOYS ARE NOW WELCOME TO REGISTER AND PLAY on our Rec Teams. We have teams in the following divisions: 1st/2nd grades/Clinic, 3rd/4th grades, 5th/6th grades and 7th/8th grades. We offer recreation level and advanced game play and emphasize good sportsmanship and great fun in competition! Be sure to visit our LINKS page to catch a local college field hockey game! !